Why All the Bare Shelves at Grocery Stores? Over the past few months, my husband and I have kept an eye on the store shelves in our area. We don’t shop daily or even weekly, but the trend of increasingly bare shelves has been incredibly disturbing. This made me curious as to what others have been experiencing. As a member of various online prepping communities, I see a lot of conversations and concerns, but one thing that has stood out to me is the amazing number of people chiming in to report sparse or bare shelves or just not being able to find a specific item they like. We visited many different stores. Over several months we visited various regional and national grocery stores, drug stores, and dollar store chains. You may be able to guess where these pictures come from but I am not going to mention store names because I fear that by doing so I will contribute to a damaged reputation for these stores. I don’t want to affect the financial well being of the hardworking families that rely on their employment with these stores. The main grocery warehouse for a major regional chain is quite close, and they are a well-capitalized company with no significant financial difficulties, but even they seemed to have problems keeping some items on the shelf. Here are the most commonly out of stock or in short supply items. The pictures in this article were not taken during snowstorms. They were taken during a typical shopping day in the winter time in the USA. My husband and I wanted to make sure that snow was not making the results worse than they actually are. This research is intended to inform, not foster unwarranted fears. Please excuse the blurry quality of some images, we were moving fast and also trying not to be too obvious when exploring stores. Trash bags of all sizes. Store brands of trash bags were missing, or in short supply, at all the stores we visited over the past few months. A lot of people think bare shelves are the result of food stamp benefits being issued early. Food stamps being issued early had only a slight effect on store stock, but it was more noticeable in some areas due to stock already being low. Food stamps were issued early, with many people receiving their February benefits by January 20th on average. While this did lead to some people buying more groceries and supplies during January, this would only explain some of the low inventory that happened within the last few weeks, not the low stock that we have seen over the course of many months. Excuses are rampant when it comes to bare shelves. I have tried to listen in on workers when I am out shopping. It is not too hard to do because they talk among themselves when stocking and it is impossible not to catch a few things. Someone very close to me also works at a major box store retailer, and when comparing statements, it is incredible how close the stories of workers match no matter what part of the country they are in. Our store was not designed for the number of shoppers that we have now. Business is so good we cannot keep up supply. And here’s the problem with those stories. It is not profitable for stores to be understocked. If they are turning customers away due to not having items, then they are losing money. If business is that good, then it would make sense for their corporate headquarters or distribution people to make sure that more trucks are sent so they can sell more and have a more profitable store. Empty space and turning people away costs money. Why on earth would any business keep a store understocked and not able to meet demand unless there was an excellent reason that is beyond their control? I have spoken to various people that work in retail. I have omitted names to protect the privacy of those that were kind enough to share their experiences with me so I could bring this information to you so you may be better prepared for items being short. “I’ve worked all over in the store. Things have been weird the last two years here. We are carrying much more prep related items. Freeze dried food, 20lb bags of rice and flour, 25lb bags of sugar, bulk displays of peanut butter and canned chicken, big displays of canning jars, lids and five-gallon pails. The store never carried these items five years ago. We even remodeled the store to accommodate these large bags etc. Produce has been bad in the last year. The home office is consistently trying to find new suppliers for produce. I’ve seen the emails myself. We are out of many items that I feel we shouldn’t be. Pasta is one; we are constantly running out of pasta. This makes me think there are some shortages of semolina wheat, but I have no proof. According to my source, it is challenging to keep pasta in stock. Store employees are bearing the brunt of customer frustration. Employees are taking abuse and harassment due to empty shelves. Customers direct their frustration at the most available target, the cashiers and stockers. They are never happy with the answer and get very frustrated if the employees have no information. During my interviews and research, I have gathered that customers are constantly giving workers a hard time about there not being something on the shelf or asking if there are any on the back. The thing that a lot of people are missing is that there is no “in the back.” Stores have very little storage if any in the back. Most of the time the back is just where things are loaded and unloaded and stored until they can be put out and that happens fast. This is not the old days where there were storage areas for lots of extra stock at smaller stores. Our goods are almost always in motion or on shelves. Storage costs money. One reason we have been able to enjoy lower costs of goods over the years is due to products being always in motion and not setting in a warehouse that has a lot of upkeep costs. Real estate and storage are expensive, so if you can keep the goods flowing in trucks and not maintain a warehouse, big companies can afford to charge less and still make a profit. Of course, the main problem with this model is that if the trucks stop moving or experience delays, there are supply disruptions. If there are not enough drivers, the situation can get bad enough that even if goods are setting in a container at one of the many ports in our nation, there is no one to get them where they need to go. There are several possible causes of bare or scant shelves at stores. There are many theories presented by various individuals regardless of political opinions. I am going to explore some of the more common ones and discuss. Trucker shortages are causing problems. A shortage of truck drivers is a common argument anytime there is an issue with store stocking or various supply issues. Yes, it is true that there is a problem finding enough truckers, but this alone is not enough to explain short shelves throughout the country. According to a long haul trucker I interviewed that has been in the industry for 18 years and managed a fleet of 40 trucks, the shortage is real. Numbers are down over 100,000. After hearing first hand what drivers are facing, it is easy to understand the challenges the shipping industry is having. Electronic logging regulations have crippled our nation’s shipping industry. Truckers are only allowed a 14 hour work day but only 11 hours can be spent behind the wheel. 14 hours sounds like a lot, but that is the time from clocking in to clocking out regardless of how many hours or miles are driven. So if you are stuck in traffic for 3 hours and only travel 20 miles in that time, and get paid by the mile, a large portion of your workday is gone, and you barely made anything during those 3 hours. There is not enough time to make it up. According to government rules you were on the road that whole 3 hours if setting in traffic so you can only drive 8 hours more during that day. According to my sources, drivers were able to show “Sleeper” while waiting to load which would extend their workday; now once the clock starts, you have 14 hrs. To complete your day regardless of what happens during that 14 hrs. Many people cannot make a living this way. Have you noticed more trucks just sitting on at on ramps? Some of this is because truckers must get off the road at the end of their 11 hour drive time or 14 hour work day, whichever comes first. This means they are stuck on the side of the road at an exit and possibly without services until they can legally clock back in. Even if they are 20 minutes away from a good and more comfortable place to safety stay, take a hot shower, get some hot food, they have to stop. This is easy to have happened no matter how good the driver is at planning. This can lead to late deliveries of goods and makes it hard to plan supply chains. Older drivers are retiring, and there is no incentive for younger people to replace them. With little money to be made and unpleasant working conditions, no wonder no younger people want to pursue a career in truck driving. When you have a limited amount of hours that you can be on the clock and limited driving times and this is all related to conditions that are often beyond your control, and you are getting paid by the mile, you have no idea how much money you will have at the end of a pay period. Driving a long haul truck requires training and licensing that disqualifies many people. You don’t just go apply for a job being a truck driver and hit the road the next day. Here are the main requirements to legally drive a semi-truck. Have a clean driving record and work history. Given that we live in a country with 70,000 drug overdoses a year and many of them being younger people, substance abuse and lack of physical fitness are enough to disqualify many from considering truck driving without making some major life changes. Then there is the issue that some states have legalized marijuana but it will still disqualify someone from being able to obtain a CDL. Another major deterrent is the cost of truck driving school. The average cost for a CDL is $3,000-$7,000. Some companies may offer reimbursement upon hire but it may not be given back to you all at once. Going into debt to be a trucker is not something some people could do even if they really wanted to. Here’s what a typical day for a truck driver is like, post electronic regulations. 3:30 pm Get Paperwork and leave the shipper. Total miles traveled about 100 on an 800-mile trip before you have to stop and wait until you can legally work again. 8:00 Dispatch calls and wants to know why you didn’t make delivery AND the electronic logs have you shut down till the next day. This means the trip is going to take you another day. When the pay is “by the mile” that driver made an average of $42 for that day while the pay for an 800-mile trip is $336 (company driver). That’s right folks, our nation’s truckers are better off with a fast food job with a guaranteed rate of pay than working at a job that pays by the mile. The trade war with China is impacting supplies. The recent trade war issues cannot help but affect the inexpensive Chinese goods we are used to. Many of the items that seem to be in low supply are those made in China. We may have to get used to not having access to cheap Chinese household supplies like trash bags and batteries. As the situation continues, supplies could dip lower. There are a lot of containers setting in shipping yards with goods that have already come into the US. How these goods are distributed and who gets what can vary. Stores with significant purchasing power have their own supply networks and can decide how they want to distribute based on any factors they choose. This means that if you are in an area that a company doesn’t see as a priority, your store may not get the truck delivery that everyone is hoping for. There are just fewer grocery stores than before for many different reasons. Over the years the small town and area we live in have seen a loss in grocery stores and variety stores that sell grocery and essential household items. Over the last 18 years, we have lost ⅓ of our grocery stores, pharmacies, and dollar style stores. There have been no replacements. Other towns in our area have seen similar reductions in stores so I know that it is not just our town. Online shopping, thin margins, competition from other chains, and other factors have all played a role. Poor and high crime areas get overlooked when new grocery stores are planned. With margins being thin, it is not a massive surprise that companies carefully research demographics. While this may seem unfair and even racist to some, it is the reality we face. When a more impoverished neighborhood loses a grocery store, it is often not replaced, thus creating a food desert within a city or community. When fewer grocery stores are servicing the same population or an increasing one, this puts a strain on the stock of stores that are closest. Weather issues also play a role. While weather can definitely lead to last-minute buying or panic buying, stores used to be able to handle common weather events. Also, supply disruptions and spotty shelves are not something that used to continue for weeks after a major snowstorm or similar event. While a majorly devastating weather-related event like a hurricane can understandingly cause disruption, a small snowstorm should not cause such a long-lasting issue. Storms are ordinary weather events. Money flow and credit contribute to the problem as well. There has been a lot of economic instability. Chain stores that were once staples of the American way of life have fallen victim to creative financing schemes, online shopping, and high fuel and transport costs. The icing on the cake is that regardless of cost, the transport system is not able to function efficiently due to government over-regulation. In the midst of a changing market, it is considered retail suicide to admit to any issues that could undermine consumer confidence or stock market value. Businesses often run on a credit based system. The terms may be 30-90 days depending on the vendor. If someone cannot pay or it is expected that they will not be able to pay on time, this can affect the supply chain. Credit is tight right now, and some vendors may not see some stores as a trustworthy firm to do business with. If you are not sure if you will get paid for goods delivered, then it is tempting to sell to someone else or delay shipping. There are a lot of factors that will need to be addressed to prevent this from getting worse. It is hard to predict exactly how far this situation will go. One of the most concerning aspects is that the shipping industry is crippled by government over-regulation that has led to it not being worth it for people to work as truck drivers. The trade war with China may take some time to sort out as well. We may have to suffer through some growing pains and higher prices, especially if we are in a situation where manufacturing has to be brought back from overseas. The changes and challenges that the world of retail sales and brick and mortar stores are facing include thin margins, competition from online retailers, poor financial management, and rising costs of real estate and utilities. A lack of qualified workers means that many stores are also finding it hard to keep a competent labor force that can meet physical requirements and a possible test for drugs and alcohol for insurance reasons. Low wages and high rent mean some retail jobs are not enough for many to be able to meet basic household needs. Even though the stock market is high and unemployment is low, retail businesses are struggling. This is telling because if we are having these issues within the retail sector, during a time when economic indicators are positive, a shift in the opposite direction could easily be the end for struggling businesses, even those that have been part of the American economic landscape for decades. 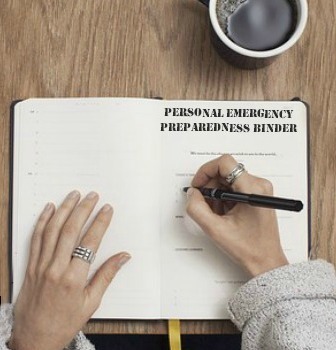 Here’s what you can do to be better prepared while this situation continues to unfold. Keep plenty of food and water on hand. Seventy-two hours worth of food is great for a short term disaster, but I think setting a goal of having at least a months supply on hand is a good goal. If you have dogs or cats, remember to have some extra food for them as well. You do not want to be faced with feeding your dog your food or either of you going hungry. My husband and I have four dogs, so this is a big concern of ours. Store some extra trash bags and batteries. You know you will use them at some point. I buy kitchen trash bags in a 200 pack online which is enough to last a long time. If you can keep an extra supply of prescription meds on hand, do so. I realize that some meds only allow for monthly refills, but there are plenty that you can get a 90 day supply of so you can make it through a shortage. Be aware of what is going on in your area. After talking to many people throughout the USA, it is clear that some areas are more short on some items than others. 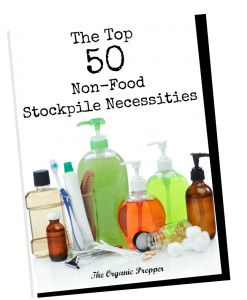 Keep your own stock of all items that you find essential or the luxuries you like. There are items that may be available at some times that are not at others. Consider ordering items online that you would normally get locally if you cannot find them. I understand the importance of shopping locally but if your area is experiencing shortages on some items that you cannot find a reasonable substitute for, then online is an option. Daisy wrote an excellent post about substitutions when the shelves are close to bare or limited. Have you noticed empty store shelves in your area? Are you also facing bare shelves? What is missing in your area? In what part of the country do you live? What reasons are the stores giving for out-of-stock products? Share your experiences in the comments below. Samantha Biggers lives on a mountain in North Carolina with her husband in a house they built by hand. When not writing she is working in the vineyard, raising Shetland sheep and growing gourmet mushrooms. Her writing mostly appears on Backdoor Survival and Lew Rockwell. She can be reached at samantha@backdoorsurvival.com. All photography by Matthew Biggers unless otherwise noted.